The LiveNoise LNT-SE noise monitor mounts on a wall and just needs power (adapter included) and access to a WiFi or Ethernet wired network. It communicates to our cloud server or to the LiveNoise Supervisor software to provide a real-time display of noise levels and long term noise reports. The LNT-SE noise monitor mounts with four screws that are accessible from the front of the case with the font panel removed. The type of fixing to use depends on what the monitor is being mounted to - screws for wood, plugs and screws for brick. 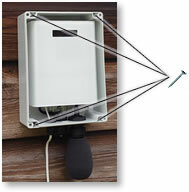 The noise monitor is lightweight and so does not need a strong structural mount. The noise monitor comes with a 10 m (32 ft) power cable fitted through a weatherproof gland. This cable can be removed and shortened if necessary. A 24VDC power adapter is included with each noise monitor. 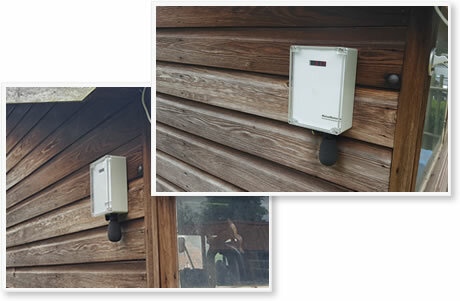 The extension cable connects to the power adapter, which must be mounted indoors or in its own weatherproof enclosure. 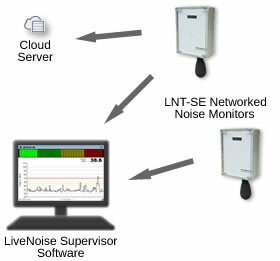 The LNT-SE noise monitor needs to communicate with the LiveNoise Supervisor software to provide a real-time display of sound levels and for long-term noise measurement storage. 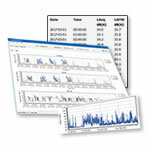 With the Supervisor software running on a computer on your network, the LNT-SE noise monitor just needs WiFi access or a wired Ethernet connection to the same network. 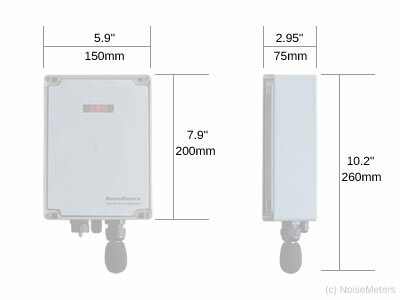 The LNT-SE will need to be connected to your network in order to send the noise measurements to the Supervisor software or to the cloud server, depending on your configuration. 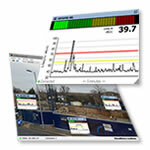 With the noise monitors connected to your network, you can choose how you want to deal with a live display and with long term reporting. 5.9" x 10.2" x 2.95"